The 30th Belgrade Jazz Festival (24-27 October 2014), organised and produced by Dom Omladine Beograda, was a sell out festival, notable for its young, enthusiastic audiences and imaginative programming from Serbia, Europe, Africa and the USA. The festival was established in 1971 as a mirror of the Newport Jazz Festival of that year. Subsequent years saw the development of the Newport-Beograd Jazz Festival and then the fully fledged Belgrade Jazz Festival. The fall of communism caused a hiatus in festivals from 1991 until 2005 when the current organisers drew up lists of artists they wanted to see and rebuilt the festival so successfully that it has been accepted by the European Jazz Network, the first Serbian festival to be accepted. Past programmes read like a Who’s Who of Jazz – Miles Davis, Dave Brubeck, Dizzy Gillespie, Herbie Hancock. Try to find a world class artist who has not appeared here! This year’s theme was Jazz All Stars, and the tireless organisers Marko Stojanovic, Voja Pantic, and Dragan Ambrozic laid on a feast of Serbian rising stars to complement heavyweights from the USA, – Charles Lloyd (with his Wild Man Dance Suite), David Binney, John Patitucci, Brian Blade – and introduced me to new talent such as Jacob Anderskov from Denmark, whose almost classical set was very moving. Something we could learn from – the Festival organisers, the Belgrade Youth Centre, have deliberately pitched pricing to be affordable to students and people on average wages. The result was halls full of young people, knowledgeable and enthusiastic. And workshops where students learn from masters and chat over drinks in the foyers and in late night jam sessions. What were my highlights? 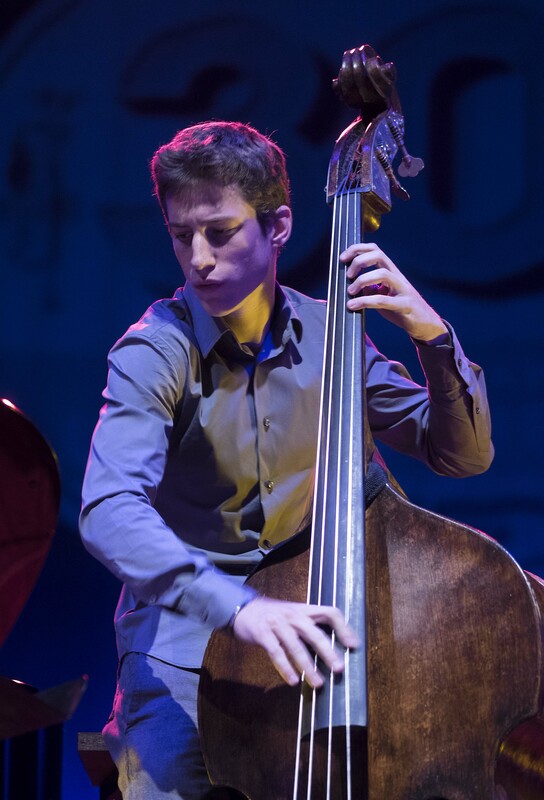 Most notable was the young bass player Petar Krstajić, who has won a place at Berklee. He started life as a pianist and at 19 has only been playing bass for five years. Yet his beautiful duo of Ola Maria by Jobim with Vasil Hadžimanov was quite unforgettable for its delicacy. He’s already played with Shai Maestro, now he can add David Binney to his cv. Such is the kudos of this Festival that young musicians are fast tracked in their careers. 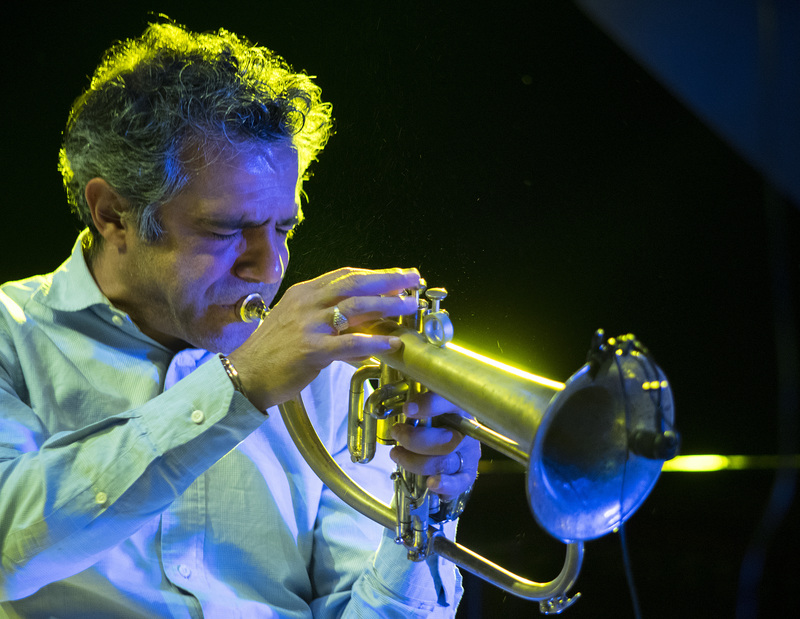 Another highlight was Paolo Fresu Quintet, also celebrating its 30th year together – his stance reminding me of a Botticelli trumpeter in a fresco. The skilful blending of trumpet and clarinet and reverb created a dizzy sound, intoxicating and disorienting. The audience loved it. And the festival experience? The scheduling was perfect – no rushing from venue to venue. Time for drinks and chats, and enjoyable times with Igor Mišković whose gig I am sorry we missed. The venues were comfortable and spacious, the sound was excellent. Don’t speak the language? It didn’t really matter – everyone was keen to try out their excellent English. Long lunches (including a particularly beautiful one on a floating restaurant on the Danube) and late nights left little time for sightseeing, so guaranteeing we will return. Belgrade is an interesting city, its past only just beneath the surface. Its people are its greatest attraction, strikingly attractive and eager to share their experiences. Go next year, you won’t be disappointed, this is an important festival that deserves our attention.